Unlike some lions who have rather drab pelts, Itumele's coloring is bold. A bold, dark gold, darker than his father's pelt. It lightens to a dark peach on his toes, muzzle, and the inside of his ears, taking on an orange hue around his eyes. His nose is a dark sand color, pointed at the corners rather than round. His underside and ear rims are copper. 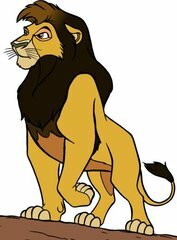 His mane starts off as brown between his ears, fading to black around his shoulders. His tailtuft is also black. He has a small off-white colored marking spanning the end of his muzzle, just above the nose. 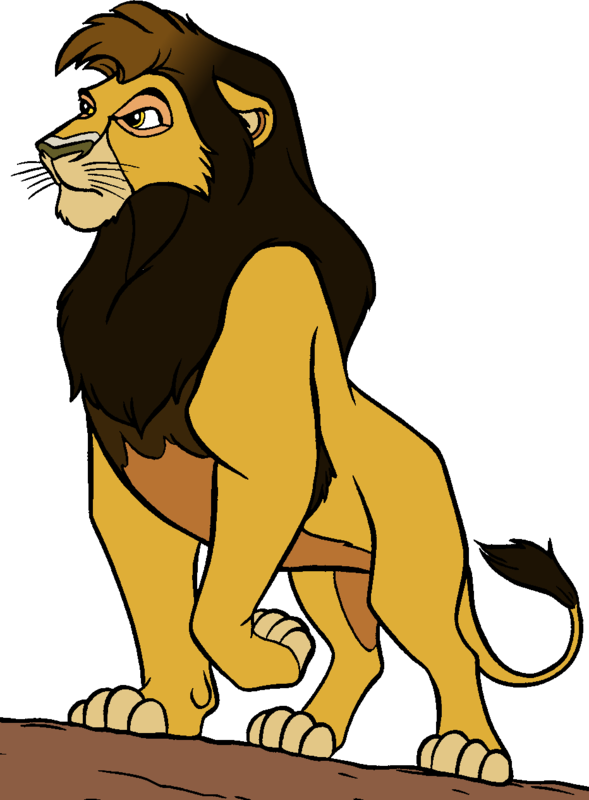 It's a modest mane, and his build is still fairly light, suggesting he's not long out of adolescence. He seems to be mostly fearless, but is often wary of other strange lions. All of this is observed through a pair of yellowish golden eyes that barely stand out against his pelt. Itumele was born in the Celestial Volcano, his mother considering the birth of his litter to be a sort of "cleansing" for the volcano after the spilling of the Kumalo pride's blood. Once returned to the valley, he had a fairly normal cubhood, although he showed a certain wariness around the adult lions. When he was a juvenile, his pridemate Badiliko (who his mother had found in the volcano shortly after his birth) decided to go on a journey to discover his heritage. Despite his youth, he was given permission to accompany the white lion and the others who went on the journey. He grew up a lot on the trip, especially when exposed to the remains of Badiliko's home pride. During and after the trip, he struggled with an anger and sullenness that seemed a bit deeper than that of typical adolescents. He accompanied Badiliko to the volcano to help him start the pride anew, but the pride didn't last. The death of Badiliko's mate Johari saw the white lion's departure, leaving Itumele the lone occupant of the volcano until he returned to the valley. Since his return, he's taken up guard duty, but his wariness of other males seems to linger, as he keeps a distance even with those he knows best. Itumele's name comes from the song "It's Time" off the CD "Rhythm of the Pride Lands" where it's part of the backing vocals.